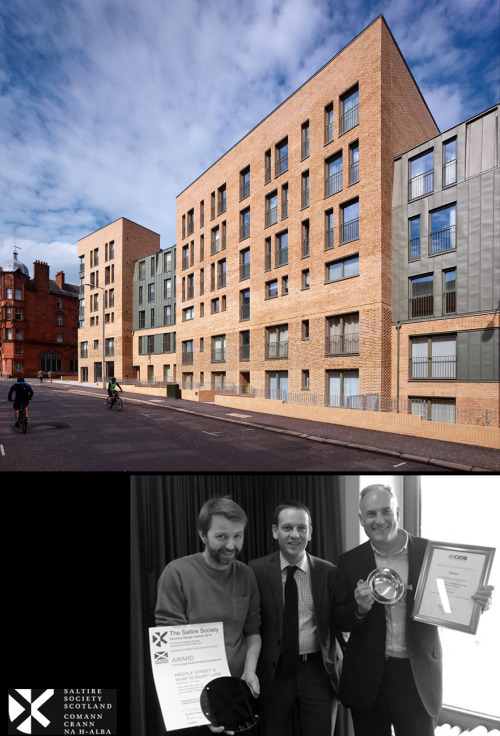 Argyle Street for Sanctuary Scotland Housing Association won a Saltire Housing Design Award in the Large Scale Developments category. The panel noted the quality of the build, the attention to detail, the finishes in the communal spaces, and the well considered space standards. In addition, the contractor CCG ltd were awarded the CIOB Good Building Award for the quality of the build at Argyle Street, which is a wonderful recognition of the time and effort that their team put into turning Argyle Street into a realised building. Collective Architecture led the design team which included Scott Bennett Associates who provided structural engineering services.